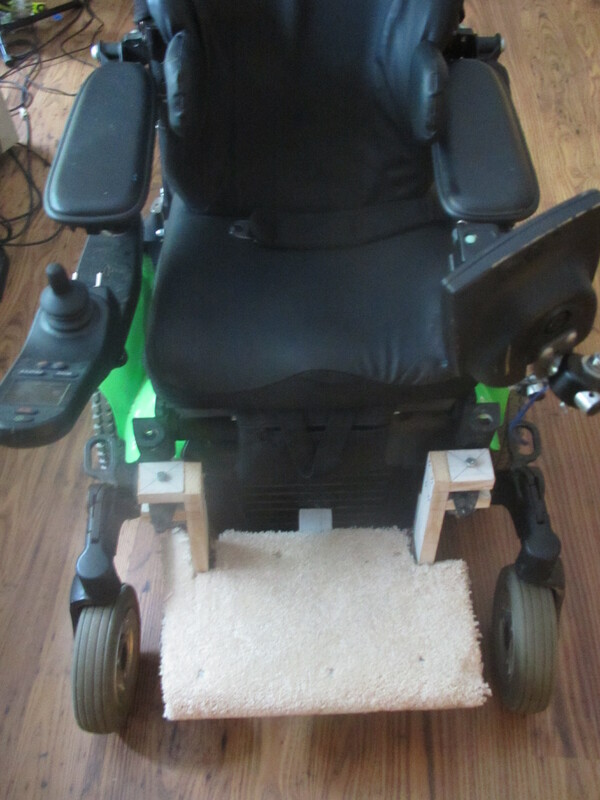 Do other wheelchair uses have issues with the footrests? John’s footrests never seem to be perfectly aligned. There are so many degrees of freedom, and so many bolts to adjust, that they never seem right. And now we have missing bolts, and bent bolts, which doesn’t help at all. My plan is to take it in to the shop to get fixed, but we just don’t have the time this week. So, here is my temporary fix. If I had had more time to plan and measure I think it would have come out better. 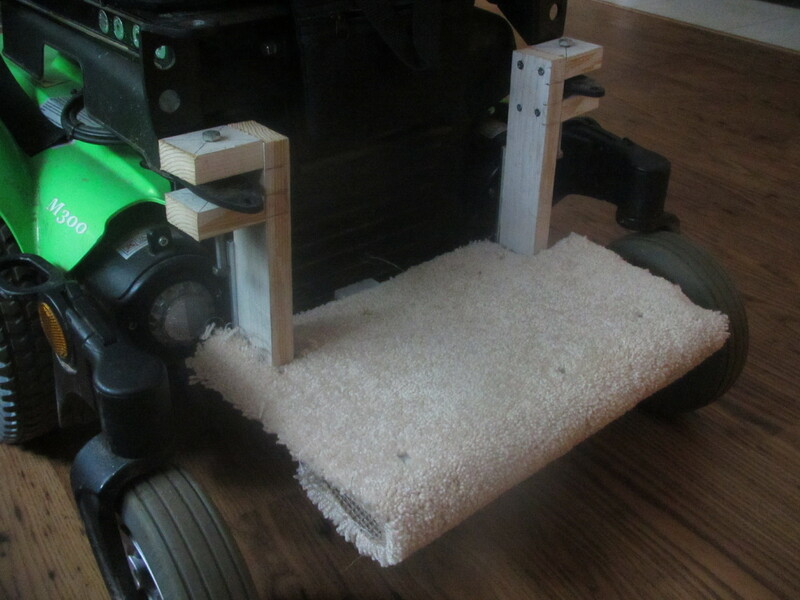 As it is, one of the front wheels just manages to scrape along the footrest when he turns. That’s ok, it was just meant to be a quick solution. I didn’t like John’s legs just hanging without any support, and at least this provides that until we can get to the shop.